President Barack Obama is on the brink of revolutionizing our education system. In an unexpected announcement on Jan. 7, he proposed to provide two years of free tuition for community college students. The White House estimates that this proposal will help community college students save up to $3,800 a year, with the potential to benefit 9 million students nationwide. The proposal, while facing many obstacles, offers financial accessibility, making higher education within reach to all communities, despite socioeconomic status. Free education is not unprecedented. 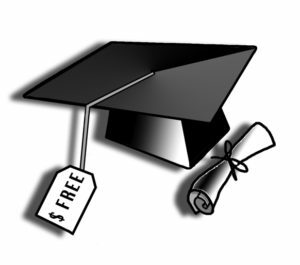 Tuition at both community colleges and the University of California used to be free. This proposal is reflective of the moment when free public education for high school students came into effect, expanding the possibility of K-12 education to K-CC. Obama is promoting what can make tangible change in a broken education system. Last Friday, he discussed this proposal at Pellissippi State Community College in Knoxville, Tennessee, where the entire state will provide two years of free tuition for incoming 2015 community college students — without the help of Congress. Seventy-five percent of funding for this proposal would be covered at the federal level, while participating states would compensate for the remaining 25 percent of the cost. Students will be eligible under the condition that they are enrolled at least part time and maintain a 2.5 GPA. In addition, students must also remain on track to graduate within three years. Aside from the 75/25 split between Congress and the state, Obama’s proposal hasn’t clarified where the money would come from. The specific details of this announcement are expected to be formally released in February 2016 as a part of Obama’s budget proposal. Since Republicans recently announced they’re going to deny any bill or proposal that asks for additional funding, many Americans question the likelihood of passing the proposal, especially in a Republican-controlled Congress. Obama has proposed an $8 billion program for a college-to-career fund, designed to help community college students seek job opportunities upon graduation, which Congress denied twice. While there is a concern that upper and middle class students don’t need free tuition, 58 percent of college students received any form of financial aid in the 2011-12 academic year, while only 38 percent acquired federal aid, and an even lower amount of 12 percent received state aid. This demonstrates that the majority of students are in need of monetary support. More attention should be centered around the appeal of the term “free,” which could promote the integration of members from every socioeconomic status through education, including first generation and single parent students. In 2014, 36 percent of students were the first generation of their families to attend college. Seventeen percent of college students were also single parents. If first generation students and single parents had the opportunity to attend college for free, this would not only allow students to set aside more money for food and other expenses to provide for their families, but also establish a cycle of continued college education for generations to come. The value of community college is shown through how well it prepares transfer students to succeed at four-year universities. In the 2013-14 academic year, graduation rates for UCSC transfer students were 78 percent in three years or less and 82 percent in four years or less. Compared to the 55 percent of freshman students who graduate in four years, transfer students at UCSC are shown to have higher graduation rates than students who come straight out of high school. If those numbers suggest that transfer students are more prepared for four-year universities after attending community college, then Obama’s proposal has the potential to generate higher graduation rates nationwide. By making college more accessible and affordable, Obama’s proposal could “reduce higher education’s economic divide and strengthen community colleges to become the engines of social mobility they were designed to be,” said Richard Kahlenberg of the Atlantic. The proposal is an opportunity to change the mindset surrounding the value of a college degree both economically and intellectually — altering the landscape of higher education.